Gardai are investigating a raid on a pharmacy in Tinahely, the raider armed with a wheel-brace entered the shop at 3.30pm on Saturday. The raider told a staff member and the owner to get behind the counter and demanded money and tablets, he then went into the prescription area and stole a number of tablets along with a large amount of expensive perfumes from the shop area and did not manage to get any cash. The owner of the shop was struck by the raider across the hand but the injuries are not thought to be serious. It is understood the staff member was able to alert the gardai during the raid and although they were quick to the scene the raider had fled. The man described as medium height with short brown hair, heavily scarred around his neck with a Dublin accent he was wearing a dark hoody, had entered the shop prior to the incident with a woman who had blonde wavy hair and was wearing a white skirt with a white bag just after 3pm. 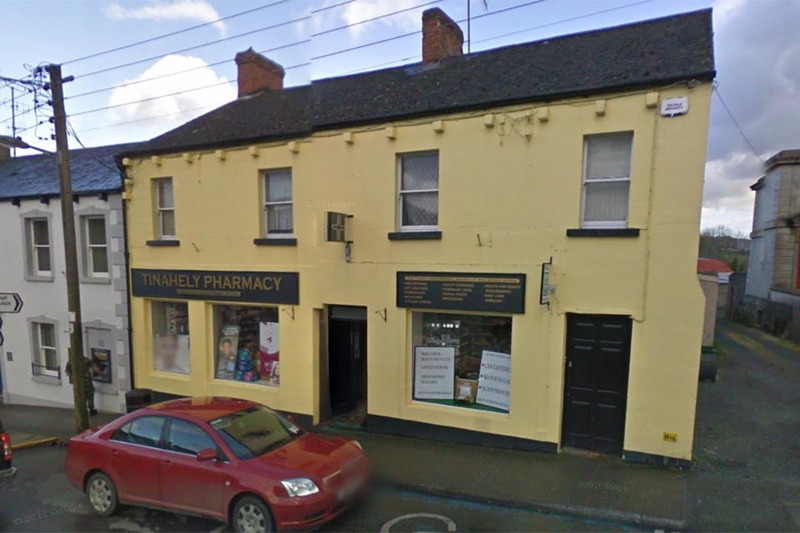 The same two people may have visited a pharmacy in Aughrim earlier in the day.